AAATesters now offers refurbished Fluke Networks DTX-1800 CableAnalyzers. The new stock includes Fluke Networks DTX-1800, DTX-1800-M, DTX-1800-MS, DTX-1800-MO and DTX-1800-MSO models. (PRWEB) - AAATesters announces the addition of Fluke Networks DTX and DSX CableAnalyzer models to its product category. The company now offers refurbished Fluke DTX-1800, DTX-1800-M, DTX-1800-MS, DTX-1800-MO, DTX-1800-MSO and DTX-1800-O Models with fiber DTX-MFM2 DTX-SFM2 modules and DTX-QUAD-OTDR kits. The Fluke DTX-1800 CableAnalyzer is one of the most popular on the market today and lives up to its reputation. Most network cable contractors use the Fluke DTX-1800 for their copper Cat5, Cat5e, Cat6 and Fiber Multimode, Single Mode and OTDR testing needs. This LAN tester can test a Cat6 cable in 9 seconds and perform fiber certification five-times faster with DTX-SFM2 or DTX-MFM2 fiber modules. Remarkably accurate when it comes to troubleshooting, the Fluke Networks DTX-1800 can reduce testing budgets by up to 33% with its efficiency and speed. The CableAnalyzer also complies with TIA/ISO standards. The DTX-1800 analyzes saved test results in the LinkWare software, which has a user-friendly interface. With the Fluke CableAnalyzer, LinkWare can create professional looking test results that can be sent to the client via e-mail. These files are in PDF format, and there is a colorful one-page test result created for each cable certified. This page includes the wire map diagram of each conductor within the cable and lists the Pass/Fail for the parameter tests and all of the associated measurements for each test. The test results also include the total length of each of the four pairs of the cable. 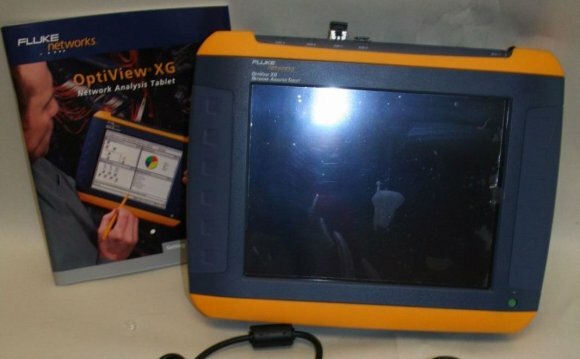 The Fluke DTX-1800’s advanced diagnostics make troubleshooting for faults twice as quick. This tester identifies the point of failure, including distance from the tester and potential reasons for the fault. It will even offer corrective actions, so senior technicians may solve the problem quickly without having to consult management. The easy to understand wire map function will make repairing shorts, swapped pairs and reversals a breeze for less experienced techs. The DTX-1800 also delivers when it comes to future-proofing by being able to measure 10 gig cable performance, including alien crosstalk, in full compliance with industry standards to 500 MHz. This includes Cat6a cabling. The Fluke Networks DTX-1800 will reduce set-up time for reports and gathering test results as it allows technicians to sort test results by cable ID, by date or by pass/fail to quickly identify the tests they are looking for.